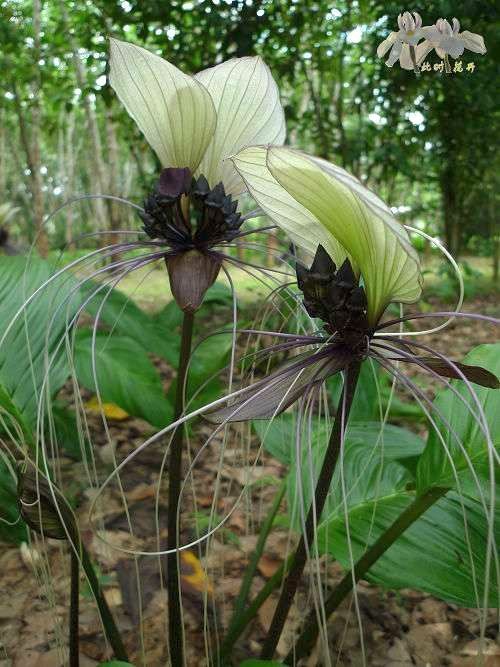 ﻿Tacca integrifolia, the white bat flower is an upright growing shrub from southeast Asia, which grows up to 1.2 m and is suitable as a room, balcony and patio plant. The dark red flowers of Tacca integrifolia with thread-like spurs look spectacular. The shiny green leaves are spectacular. The shiny green leaves are 60 cm long.